Home > Analysis > Why Is There Such Regular Division In The Fanbase? It’s the international break, which is the most boring time of the footballing year for those of us that couldn’t care less about England. I’ve written about my relationship with the national team in the past, so I won’t bore you with it again here, but sufficed to say that I personally have little bit disdain for England and international football in general. There are loads of reasons why, not least of which is that our players tend to get selected and over-played in pointless friendlies, coming back injured more often than not. Just this week Adam Lallana has returned to Merseyside with a knee injury. Now admittedly Adam Lallana is made of cheese, but that’s not the point. I don’t despise people that enjoy watching England, I completely get that some people really enjoy it. I do have an opinion that the people that are most into the national side most passionately are those that support club teams that are, frankly. rubbish, but that’s neither here nor there. For me, the last time I enjoyed international football was in 1996 when the nation was swept with optimism that football really might be coming home. I remember even my mum, who genuinely thought that the referees gave actual cards to footballers after hearing a commentator say that one had ‘given Paul Gascoigne a yellow card’, getting into the spirit of things and being gutted when we just couldn’t find a winner against Germany. Yet nowadays the national side seems to be far more entangled with nationalism, seeing countless morons use the World Cup in the summer as an excuse to smash up cars, get tanked up and cause neighbourhoods any number of problems. They give genuine football fans a bad name and I’ve got no time for them. Given a complete sense of apathy about writing about the international break, therefore, I found myself wondering what I could write about and then something fell into my lap: some Liverpool supporters being absolutely dreadful. 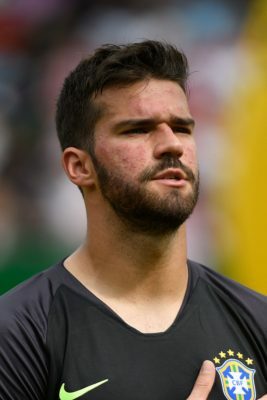 When Liverpool played Leicester City just before the players disappeared off to join their national sides, we conceded a goal because of a dreadful bit of decision making by Alisson Becker. To me, the entire thing was easy to break down; the goalkeeper attempted to do a Cruyff turn when a Leicester player was right next to him and he got tackled. It was an error, a daft and needless error. I thought we could all just call it what it was and move on, yet I soon saw people on Twitter and other social media platforms looking for any number of other people to blame for what happened. I’ll come on to who was getting it in the neck for the goalkeeper trying to do a Cruyff turn, but I also saw some Liverpool fans telling others that they weren’t allowed to be critical of Alisson and that we should ‘get behind him’. What? Since when did saying someone made a mistake become a capital offence? First time Alisson has made a mistake that’s led to a goal since he came to Europe, by the way. Support him. Alisson’s error allowed Leicester to get on the scoresheet in a game when they simply never looked like being able to do so. Having played very well from the moment that Gini Wijnaldum gave the ball away under no pressure in the first-half, the Foxes then found an extra gear to go through after they were practically handed a goal out of nowhere. It’s not outrageous to point it out. It doesn’t mean that you think that the Brazilian should be sold or that you think he’s absolutely awful. It doesn’t mea, god forbid, that you’re of the opinion that Simon Mignolet should be brought back into the Liverpool first-eleven. It just means that the goalkeeper made a mistake and you’re happy to say as much. The thing that’s annoyed me almost more than the mistake itself is the desire of some supporters to show that they’re ‘better’ than others because they’re not being critical of him. That’s bonkers. There have been vast swathes of people quick to point out that there things that they’re ‘far more worried about’ than Alisson. Tweets saying things like ‘I’m far more concerned about the shape of our midfield’. What’s the point in that? Can we not be bothered about both? Do we have to favour one thing over another in terms of our criticism? I’m aware that this runs the risk of me seeming like I’m lecturing or telling supporters how to think and behave, but it strikes me as idiotic that some people think there’s only room for one piece of criticism at any one time. That’s to say nothing of those that think it’s utterly abhorrent that anyone should be even remotely critical of the club or its players in any circumstances. You know the sort I mean, tweeting things like ‘get behind the manager and the lads’, as though suggesting that the goalkeeper doing a Cruyff turn on the goal-line is some sort of condemnation of everything the club stands for. You can enjoy Allison’s chip and not be happy with him today. I enjoyed his chip because he got away with it but hoped he didn’t do it again as the risk/reward ratio was too high. The same applied today. It’s just not worth it imo. One of the other statements that’s emerged since Alisson made an error that led to a goal is that it’s hypocritical to have enjoyed the chip he did over Brighton’s Anthony Knockaert at Anfield and then been annoyed at him for the mistake at Leicester. No it’s not, if for no other reason that the chip over Knockaert came off and the attempt to take on Kelechi Iheanacho didn’t. Nobody sensible wants to remove that arrogance and confident out of the Brazilian’s game; it’s a part of why we signed him and will come in handy more often than not. It’s just that the more that he does it then the more likely it will be that he’ll get caught out, so being more sensible about when he chooses to get cocky will pay dividends. He didn’t have any options for a pass last weekend, but he would have been much better putting it out for a throw, a corner or even just booting it long. Saying as much doesn’t mean that you’re completely and utterly against what Jürgen Klopp’s trying to do at the club and we need to nip that way of thinking in the bud as soon as possible. I genuinely think it’s difficult to have a sensible conversation about Jordan Henderson. Just last week I had an argument with someone on Twitter who said that I refused to see his weaknesses, even though I was in the midst of explaining about how I readily accept that the midfielder has weaknesses. That same person had tweeted to criticise Henderson for the goal that was scored against us at the King Power Stadium, which is absolutely mind-boggling. Don’t get me wrong, I don’t think he played well in the second-half after a first-half that was a decent return to club football after his exploits for England, but suggesting that the goal was his fault requires a remarkable belief in an agenda against the club captain. The pass to him from Joe Gomez was poor when he had no options on. His pass to Virgil van Dijk when he was under pressure was not good judgement. The ball from the defender back to the ‘keeper was dreadful and I’ve already talked about Alisson’s stupid choice to try a Cruyff Turn. Henderson’s pass back was 1) a bad one 2)The wrong choice 3)Put his fellow player under pressure which had a knock on effect until it came to Alisson who was also pressured and ended up making a costly mistake resulting in a goal. Thanks to Hendo, OUR weapon was used against us! What amazes me about people who deny that there’s any agenda in play is that they’re willing to look back along the chain of events, but stop when it gets to Henderson and don’t look at the ball from Gomez that put him under pressure in the first place. I think Gomez was our Man of the Match against Leicester, but that doesn’t make him immune from criticism. As I say, though, it’s impossible to have a sensible conversation about the captain. There are too many people out there who genuinely think he’s a terrible footballer that shouldn’t be allowed anywhere near the pitch. It’s just as impossible to speak to those people as it is to those who think that he’s the best midfielder in the world and can do no wrong. People on both sides of the argument get backed into a corner and come out swinging without accepting that the opposite side might have a point. The reality, of course, lies somewhere in the middle: he’s a very good footballer with some limitations. The people who genuinely amaze me are those that are of the opinion that Jürgen Klopp is a genius and the saviour of the football club, arriving at Anfield as something akin to a modern day Bill Shankly, and yet somehow think that the manager has been hoodwinked regarding Henderson’s ability. When he signed a new contract recently, one ‘supporter’ tweeted that it was the ‘worst day of his life’. Imagine being so in love with the club that you think think they’re all morons for offering the club captain a new contract after a decent season last year and an excellent summer for England. It’s entirely acceptable to think that we can do better than Jordan Henderson, but to think that the club has made some sort of catastrophic error by ensuring that he’s going to be around for a few more seasons is mind-boggling. It’s also worth bearing in mind just how difficult it is to be a midfielder in a Jürgen Klopp football team. We signed Fabinho for around £40 million in the summer and yet he has yet to kick a ball in anger at the club. Instead, the manager has made the point that he’s got a lot to learn before he’ll be able to play regularly for us. At the same time, he’s off playing as a right-back for Brazil. Naby Keita looked impressive in his first game against West Ham and offered glimpses of what he’s capable of against Crystal Palace, but he couldn’t really influence the game in the second-half against Brighton and was rightly dropped for the Leicester match. Playing football in the Premier League isn’t easy and doing what the manager wants is even trickier. 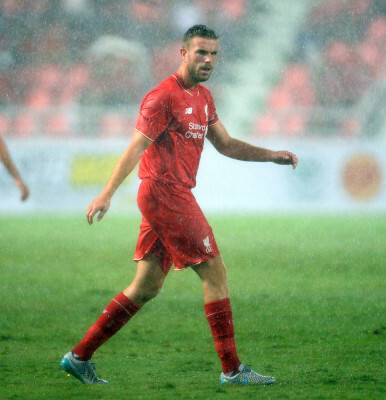 That Jordan Henderson not only keeps getting picked but has also been offered a new contract suggests that ‘passing it backwards and sideways’ is precisely what the manager wants him to do – whether you like it or not.